A Capitol Heights female sustained traumatic injuries to three fingers when a fireworks device exploded in her hand. The adult female was transported to a nearby Trauma Center for treatment of her injuries. The incident occurred around 9:30 pm on Thursday, July 2. 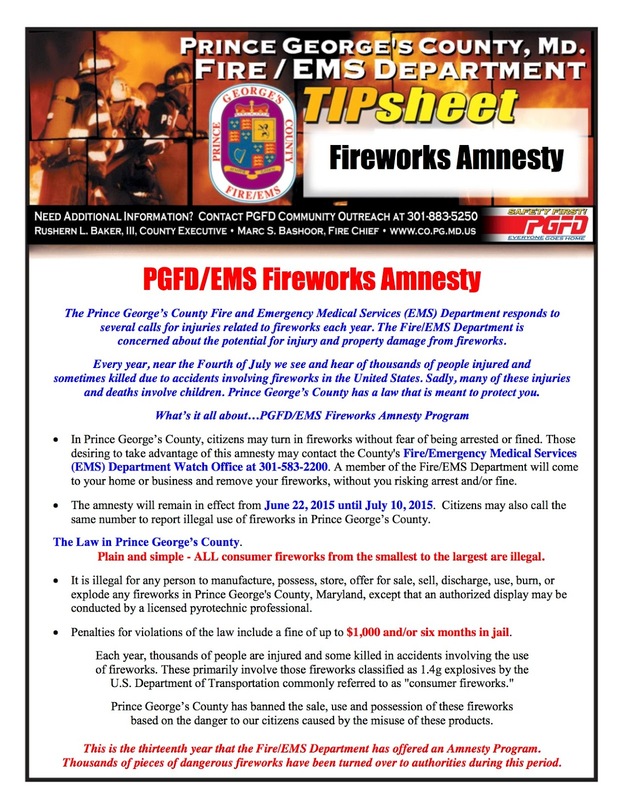 This injury is the second consumer-purchased fireworks related injury in the past seven years in Prince George’s County. 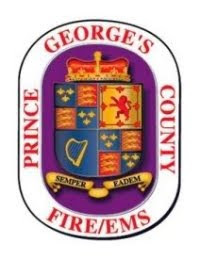 The number of injuries is low thanks to the strict laws prohibiting these types of fireworks in Prince George’s County. All backyard, consumer purchased and homemade fireworks are illegal. Firefighters and Medics encourage everyone to attend a public or municipal fireworks display. Our fireworks law is a law we can live with. It is intended to curb injuries and fires associated with fireworks. The Prince George's County Fire/EMS Department is offering an Amnesty Program for residents to surrender their fireworks without any fear of prosecution. You must follow the rules detailed below to be eligible for this program.